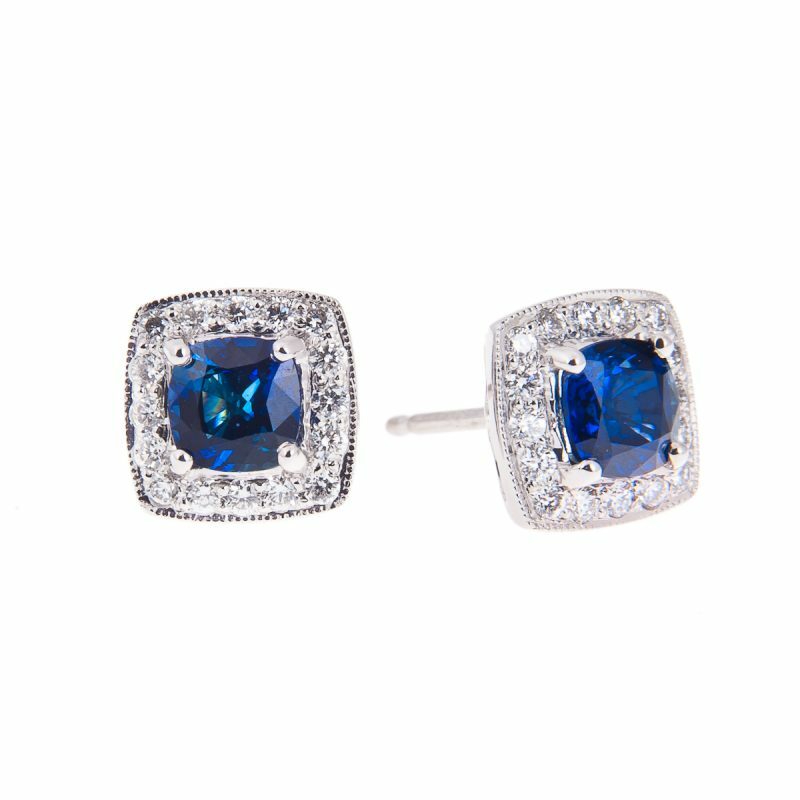 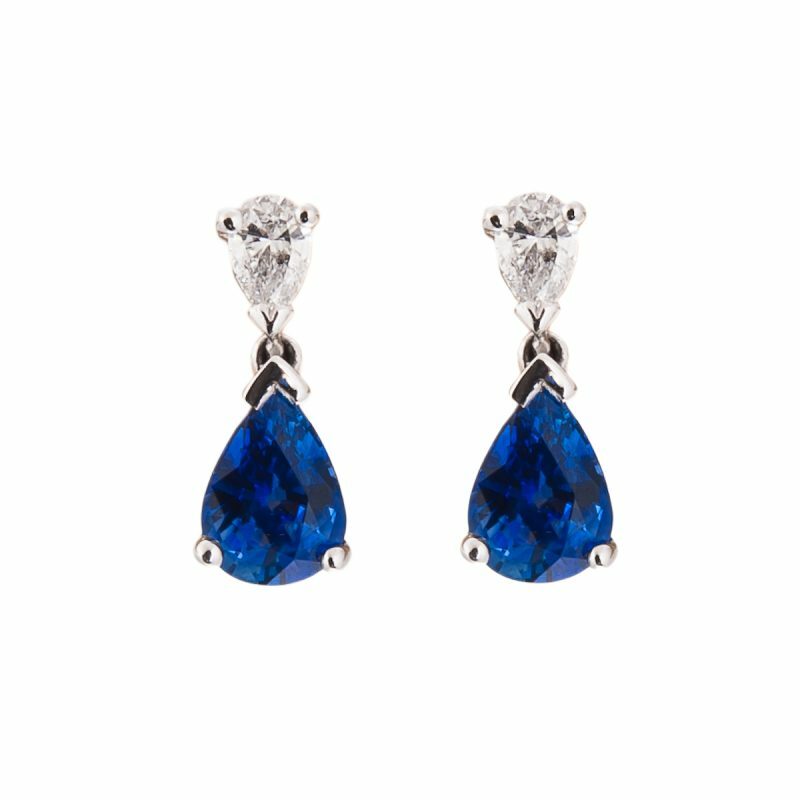 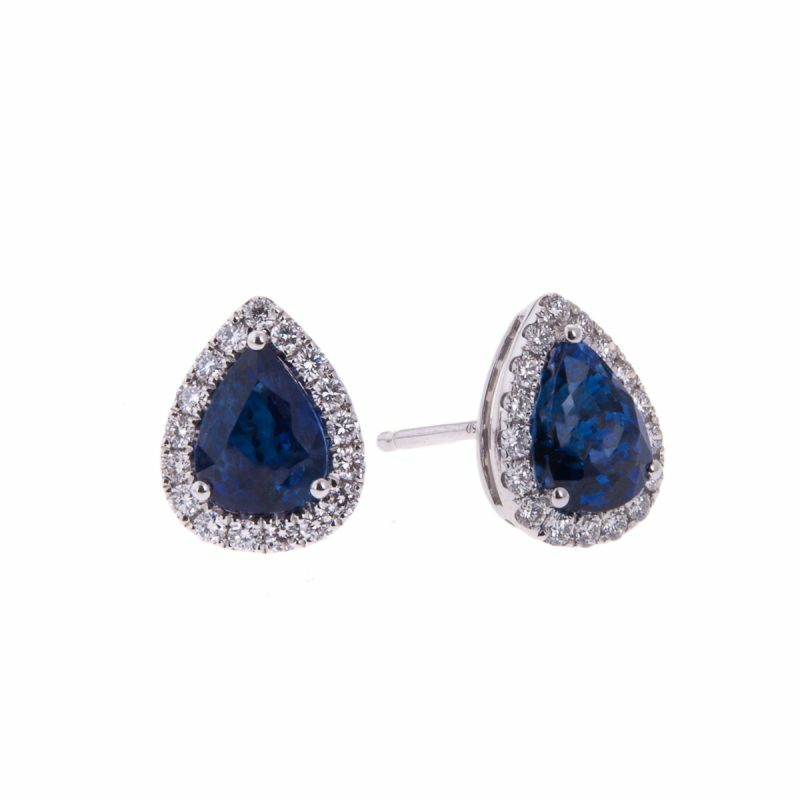 These stunning stud earrings boast a pair of pear cut rich velvet blue sapphires set with a very fine row of brilliant cut diamonds, mounted in a modern platinum halo claw setting with post and butterfly fittings. 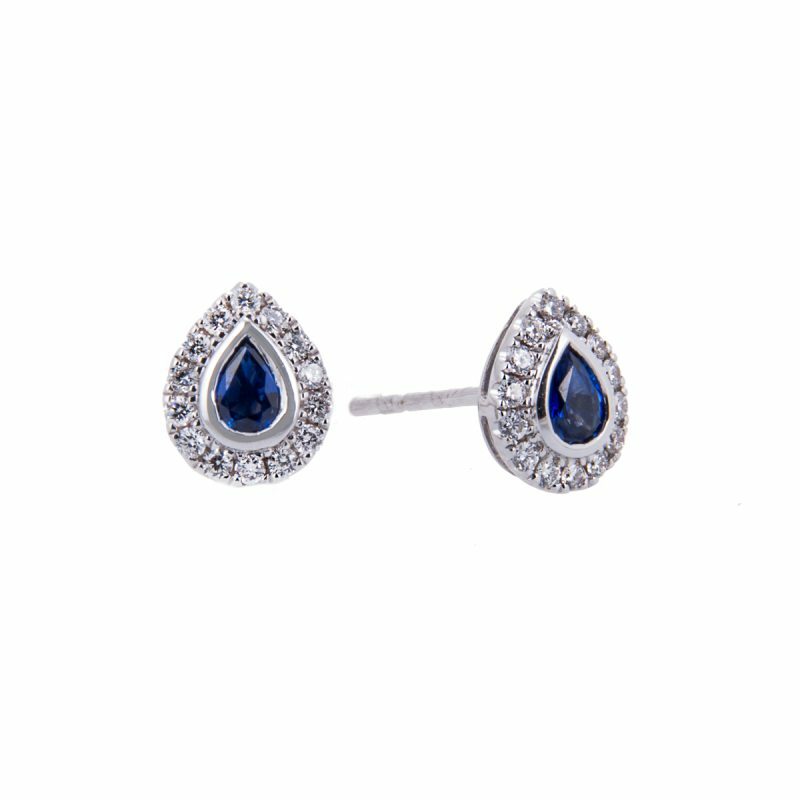 Truly a gem set treat for all seasons, contrasting rich strong blue colour of the sapphires with the white beauty and brilliance of each brilliant cut stone. 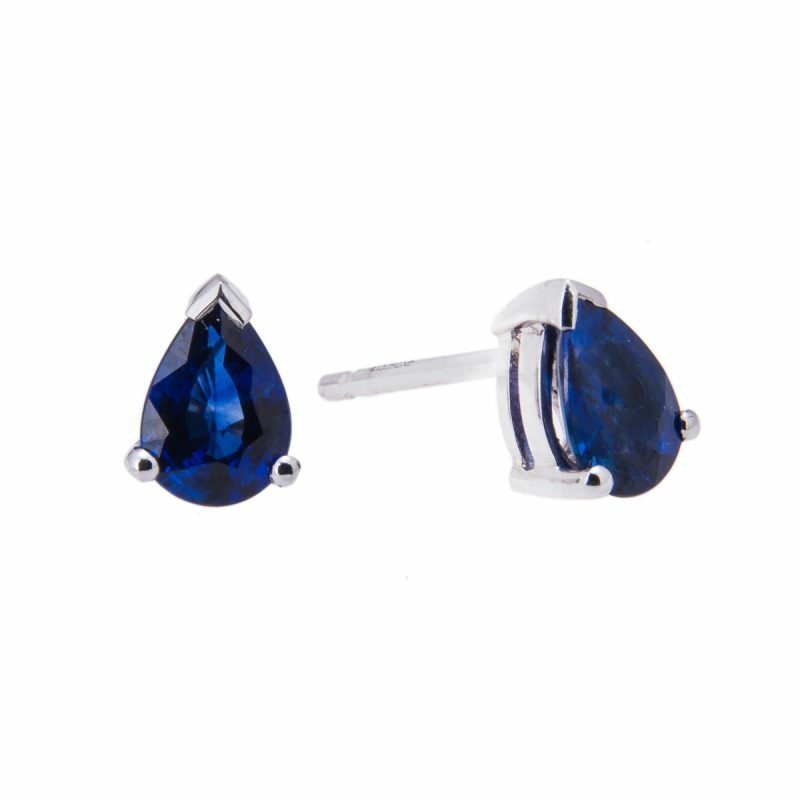 Surely set to become the wearer’s favourite.